I am pleased to announce a great opportunity for you to relax and take your Yoga/ Pilates practice deeper in the beautiful surroundings of the Lake District. The yoga weekend will take place at www.haybergill.co.uk, situated in 3 acres of woodland in the picturesque Upper Eden valley in Cumbria. There will be a chance to practice a Dynamic Yoga/ Pilates flowing practice in the morning and a more passive, Restorative Yin practice in the evening with relaxing body scan meditation sessions. Classes take place in the purpose built studio overlooking picturesque gardens. Explore the beautiful Upper Eden Valley, with plenty of walks available. All meals, which are vegetarian and freshly prepared using local produce where possible. Warm and comfortable accommodation on a twin shared basis. Price: £250. A non-refundable deposit of £150 is required to secure a place. Places are limited so please book early. The remainder is due no later than 6 weeks before the start of the retreat. Please fill in the booking form and payment can be made via BACS, PayPal or Cheque. Join us for 4 days of Pilates, Yoga and Buddhist walking at ‘The Hacienda’. Set in the beautiful Andalucian countryside, in an area of outstanding national beauty and ecological diversity, this retreat offers a complete getaway from everyday life. Accommodation is set amidst spectacular views of the Andalucian countryside, in an area of outstanding national beauty and ecological diversity. 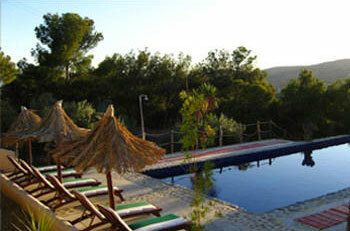 The venue makes an excellent base for exploring Monterfrio in a tranquil, stress-free environment. When you’re enjoying a Pilates/Yoga holiday mini break, our stunning venue will help you unwind and rejuvenate. You will be served delicious vegetarian food, twin en-suite bedrooms with panoramic views of the mountains. Teaching sessions are held in the spacious Yoga hall, Yoga deck and meditation temple. The Pilates/Yoga classes are a combination of energizing Dynamic Yoga and Pilates in the morning followed by a more restorative practice of Thai Yoga Massage. Classes are suitable for all levels and those with little or no experience in yoga and/or Pilates are also welcome. 10.15am-Brunch Free Time – For Massage, walks, bike ride etc. Situated 8km from The Hacienda – Monte Frio was officially declared a Town of Historical and Artistic Interest in 1982 and forms part of the Poniente Granadino – The Last Frontier of Al-Andalusia. The town sits at just over 830m above sea level in a landscape made up of mountainous slopes and olive groves with a skyline dominated by the monumental El Centinela. Full payment is for a sharing twin room. Some rooms have an en suite bathroom and these rooms are booked on a first come first served basis. If paying a deposit the balance can be paid eight weeks before the retreat commences. We do have a limited number of single occupancy rooms at extra cost. Please contact us for details and availability. Flight, insurance, additional activities and excursions are not included. Transfer cost of your transfer from Malaga airport to The Hacienda is £25 each way. There are set times that the transfers are available so please check with us before booking your flight. Please contact regarding our payment plan and to check availability before booking online. All classes, accommodation, meals, snacks and fresh fruit and herbal teas are included in the cost. Flights and transfers are not included. Malaga. Easyjet, Ryanair, Monarch and Norwegian run cheap flights from the UK. For cheaper rates check www.skyscanner.net. We will be arranging a transfer to The Hacienda around 2pm on the first day of the retreat from Malaga airport. For your departure, please organize flights from 10pm on the last day of the retreat. The transfer costs £25pp each way. It is possible to get flights at different times to those advised and get a taxi to the venue. However please be aware that taxis in the area are costly and one to the venue from the airport will cost 130 Euros. The appropriate deposit is paid. IN ORDER TO PARTICIPATE IN THE COURSE, CLIENTS MUST HAVE TRAVEL INSURANCE!!! Full payment of the balance due must be made before arrival, or Nisha Srivastava reserves the right to cancel the arrangements made on your behalf and charge the applicable cancellation charges. If cancellation is made within 8 weeks of the start of the holiday/ or after the balance has been paid, then 50% of the balance paid will be refunded. Any other costs incurred will have to be covered by your Holiday Insurance. If cancellations are made within 2 weeks (last minute) of the holiday – no refunds given unless place can be resold. Where a booking is made on behalf of several individuals the booking is conditional on the person signing the booking form having authorisation from all the individuals named on the booking form to enter into this contract. Amendments made up to 6 weeks before departure will, if we are able to assist you with the required changes, incur an amendment fee of £10 per person. Accommodation will usually be in twin bed Places will be allocated on a first come first serve basis. Single rooms usually incur a supplementary charge and must be detailed on our invoice to you to be guaranteed. In the case of an odd number of participants, if there is no one to share a twin room with you, then the single room supplement will apply. Again this will be decided upon a first come first serve basis. If, for any reason at all, Nisha Srivastava becomes unavailable on a Yoga overseas holiday/retreat, we shall do our utmost to replace her with a leader of similar qualities. This has never happened as yet. Wherever possible you will be advised in advance of any alterations. Similarly, the alteration of some amenities or courses might take place due to maintenance work; mechanical faults, weather conditions, sickness or other situations are outside our control. Liability: we do NOT accept any liability for: * Cancellations, delays or changes caused by war, threat of war, terrorist actions or threats, illnesses of participants or close relatives, closure of airports, civil strife, industrial action, natural disaster, technical problems to transport, staff cancellations or other events beyond our control * Participants’ medical or psychiatric conditions which may develop during or subsequent to the holiday * Injury sustained on the retreat * Loss of, or damage to, personal property of participants. “A retreat that was so jam packed with Nisha’s ever creative and challenging classes, Nordic walking and belt busting meals we did not even realise it was raining”. “Nisha organized a wonderful yoga retreat with a great variety of yoga, Pilates and meditation designed to rejuvenate and relax. The level of knowledge, experience and teaching was first class. 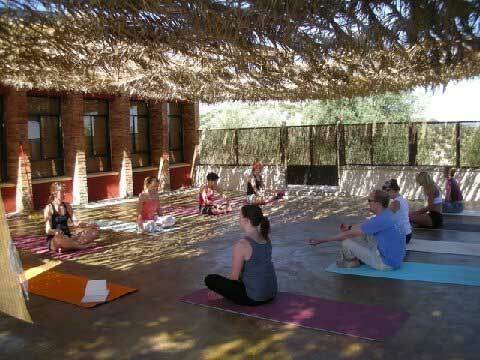 The retreat offered the perfect balance of yoga and free time and was great value for money”.